Although she lived in Surry County only a short time, the community made an impression on the late Vannie Allred Rouse, so much so that she has willed $400,000 to a local educational foundation, its largest gift ever. The funding Rouse left to the Surry Community College Foundation is being used to establish a nursing scholarship at the college. It will aid first-year associate degree nursing or Practical Nursing Program students who are graduates of a North Carolina high school and demonstrate financial need. Word of the record scholarship donation surfaced through a recent telephone message received by Marion Venable, executive director of the SCC Foundation. It is a non-profit arm of the college which provides scholarships for students having financial need and meeting other specified criteria. This aid is made possible by business, industry and individuals who have contributed to the organization. Venable said Thursday that she was shocked to find out what was in store after the caller stated simply, "I want to speak with you about a scholarship." Upon returning the call to the person who had left the message — Frank Blalock, the godson of Vannie Allred Rouse, a fascinating story unfolded, Venable said. Vannie Allred was not even from here, having been born in Rockingham and raised in Sanford as the oldest of six brothers and sisters. A child of the Depression, she left school early to take care of her invalid mother and help raise her siblings. Vannie had numerous jobs, beginning with cleaning a doctor's office in the evenings, working at the Temple Theater and rising to the position of cashier and working for a telephone company. She later moved to Mount Airy to become the manager at Wolfe Drug, which at that time was the largest drug store in town. One of Vannie's fondest memories, the SCC official would learn, was helping teen-age girls in the Mount Airy area buy their first cosmetics, and she developed a lasting relationship with many young women in the area. She also met Herman Ashburn, a successful Mount Airy businessman, and they married in 1959. Herman had two daughters and Vannie became a strong mother for them, information from the foundation official relates. At every stop in her career her attitude, work ethic and native intelligence so impressed her employers that Vannie always was given more promotions and responsibilities. Her lack of formal schooling never blocked her desire to learn and succeed, and created an acute appreciation for the value of an education. Vannie's life was about friends, too. After Herman's death, she began traveling with those friends. Vannie never met a stranger, and during those travels she met Linwood Rouse, launching a long-distance courtship. They were married in 1969 and Vannie and Linwood continued their travels, always returning to their home in Winterville. During her jaunts with Linwood, they pulled their car off the interstate every morning at the first small town the two came across. They would stop at a gas station and ask where the "coffee club" met, go there and spend an hour or two making friends among the locals. At every stop in her life Vannie made friends of all ages. She forged a bond with Sonja Blalock, her "adopted daughter," and her godson Frank, which continued right up to her death on April 15, 2015. Both Vannie and Linwood Rouse were active in church and civic affairs, and have left an enduring legacy with their generosity. This included leaving funds to establish the local Vannie Allred Rouse Scholarship, reflecting the value she placed on education. Despite her success and many friends, Vannie believed the lack of a formal education had left a void in her life. She always was supportive of anyone who was continuing their schooling, SCC Foundation officials reported. And that interest led her to make arrangements to create several perpetual scholarships at schools across the state that will affect the lives of young people throughout North Carolina. And the fact Vannie remembered Surry County in such a way is especially noteworthy. "The thing that is really amazing about this, is this is a woman who moved to Mount Airy from Sanford," Venable added Thursday. 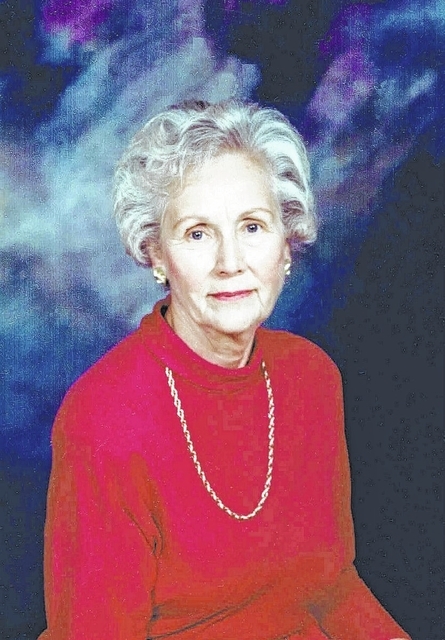 "She was only here for a short time (about 10 years)," Venable said, yet still developed a longtime love for the area. Venable's enthusiasm was echoed by another SCC Foundation official. "The foundation board of directors, (college) board of trustees and faculty and staff celebrate the impact that this monumental gift will make in continuing the legacy of excellence that Surry Community College has earned," foundation board Chairman John Willingham stated. "It is with the most sincere appreciation that the Surry Community College Foundation accepts this gift and opens a new pathway for nurses." Vannie Allred Rouse's love of Mount Airy and her time spent there, and her understanding of the value of an education, will empower students to change their lives and build a future committed to the profession of nursing, foundation officials say.